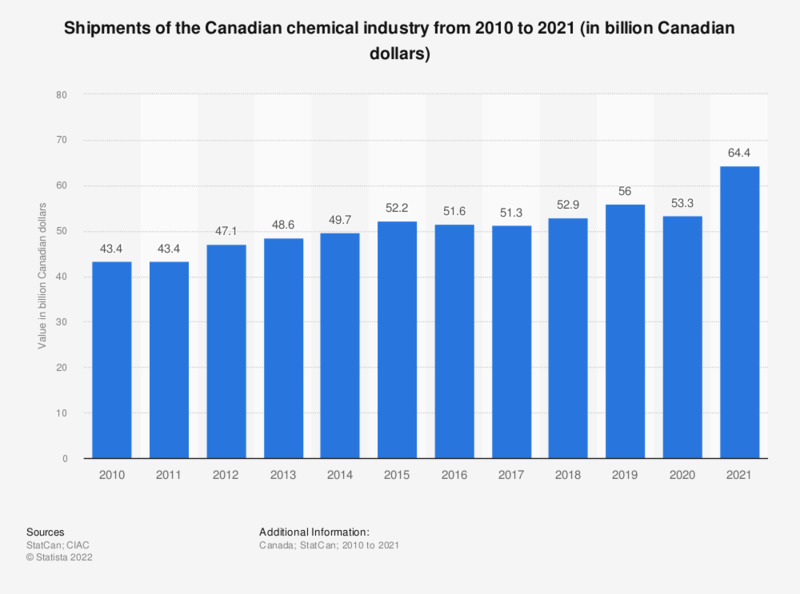 The statistic shows the value of the Canadian chemical industry's shipments from 2000 to 2017. In 2017, Canadian chemical shipments had a total value of 52.2 billion Canadian dollars. The industrial chemical industry in Canada adds value to raw resources such as natural gas, crude oil, minerals, and metals, by converting this material into products that can be input into other parts of the industry. Figures prior to 2008 were taken from a previous edition of the report and a KPMG report.